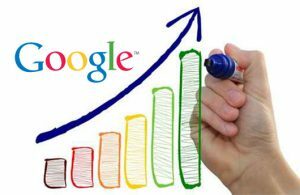 So you want to learn some SEO Kelowna? Below we have a few tricks that you can use to SEO optimize your site yourself to get better rankings for your Kelowna website. If you want to jump straight to the first page of the results then you need to hire Rankit to assist you, otherwise try these tips below to help improve your Kelowna SEO efforts. One of the best ways to get traffic to your website is to make your content SEO friendly, which is also known as “optimizing content for search engines.” In this post, we will share some tips to help you write search engine friendly content to help your Kelowna website rank higher on search engines. Post title refers to the title that is visible to your visitors. Meta title is visible to search engines, and this is what they use to rank your website. If you do not specify a meta title, it will default to your post title. It is, therefore, important to make sure that you include at least one keyword in each of them. Note also that webpages in which the post title and meta title do not match with the content are heavily penalized, so make sure you avoid this. Meta description tells the search engine what your content is about, and it plays a very important role in your SEO ranking. These are the first few lines which appear in the search engine results. Add your keywords and craft a description that will make your visitors want to click on the link. Google can’t process images and needs text to help understand what they are all about. Avoid the mistake of naming your images something like image001.jpg. Give your images descriptive names so that Google can parse them. When you are developing new content, especially new blog posts, it’s a good idea to link back to old content. This way users hang around your website longer, reducing your bounce rate and allowing search engines to re-crawl older posts. Whenever you write a blog post, the post title includes a lot of “stop words” such as “and” or “to.” These only occupy characters in your URL, making it unwieldy. At the same time, they add no understanding as to what the blog post is all about. When crafting blog posts, remember to click “edit permalink” and eliminate the stop words. Remember, though, never to change your permalink after the post is published. One of the most important parts of SEO writing is to use proper H1, H2, and H3 heading tags. WordPress themes are usually optimized by default and use the post title in an H1 heading tag. You are highly recommended to use the H2 tag for a first-level sub-heading, the H3 tag for the next-level sub-heading and so on. In order to do this, you need to go to the HTML editor in your WordPress admin panel in which you are creating a new post. Usually, WordPress themes do this by default, but it is a good idea to make sure. You should take special care to do this when you are writing longer blog posts. As SEO Kelowna experts, we also advise that you should use at least one keyword in each heading.